Will robots take all of the jobs? A new report from Pew Research reveals that experts are divided on this topic: some think robots will displace vast numbers of workers by 2025. Others think that yes, robots will indeed take some of our jobs, but we’ll be smart enough to create new forms of work to make up for the losses. Only time will tell exactly what long term impact artificial intelligence will have on the workforce, but already, robots are being designed to do jobs only humans could before. Starting August 20, the Aloft hotel in Cupertino, California will have a new employee. 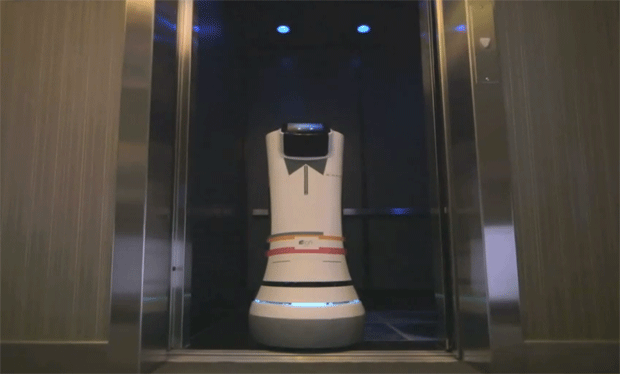 “Boltr” the robotic bellhop will independently roam the hotel’s hallways at a top speed of four mph, delivering items to customers in under three minutes. Starwood insists its robotic room service isn’t meant to replace any human employees. Instead, it is “an enhancement to our customer service,” Brian McGuinness, Starwood Hotels’ senior vice president for its Specialty Select brands, told the New York Times. The Tate Britain museum is letting members of the public enjoy nighttime tours of the artworks without leaving the comfort of their living rooms. From their computer screens, people online can take control one of four robots that will walk around the museum and show off the galleries. Using keyboard buttons, tour members can make the robot move around or look in different directions. Art lovers, fear not: the robots are fitted with sensors that forbid them from getting too close to an artwork. 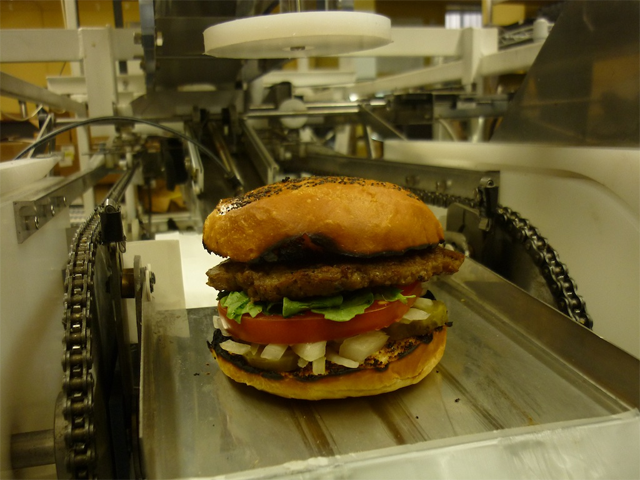 Would you trust a robot to prepare your burger? A company called Momentum Machines is working on a machine that “does everything employees can do except better.” It is its own assembly line: slicing vegetables, cooking meat, and producing one “gourmet” burger every 10 seconds, all while providing additional sanitation and food safety. 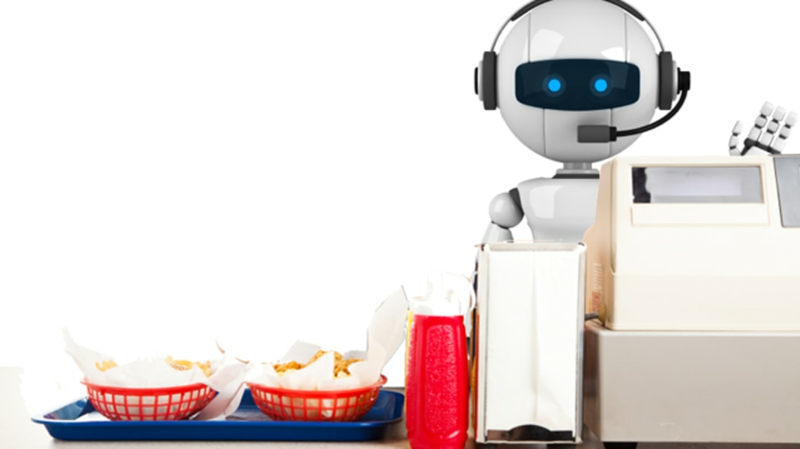 The company knows the robot will put line cooks out of work; in fact, this seems to be the goal. “The labor savings allow a restaurant to spend twice as much on high quality ingredients,” the company’s website says. To help displaced employees, Momentum Machines wants to offer them “discounted technical training” to essentially help them become technicians that maintain the robots that just took their jobs. If you want to work for the government, your first step may soon be enduring a long list of questions from a computer-generated interviewer. To speed the process of handing out security clearances, the National Center for Credibility Assessment is developing an avatar that would interview applicants about their past (drug use, health issues, etc). The goal of outsourcing this stuff to a machine is to save the government time and money, and an initial study found that the robots made interviewees more likely to open up about their history. The robots could also help solve a problem of gender and cultural bias in government jobs. An EU project called “Crops” is creating smart robots for crop and forestry management. Developed so far: a sweet pepper-picking robot, an apple harvesting robot, and crop-spraying robots. And for the livestock? A farm in Massachusetts uses a robot to milk its dairy cows. 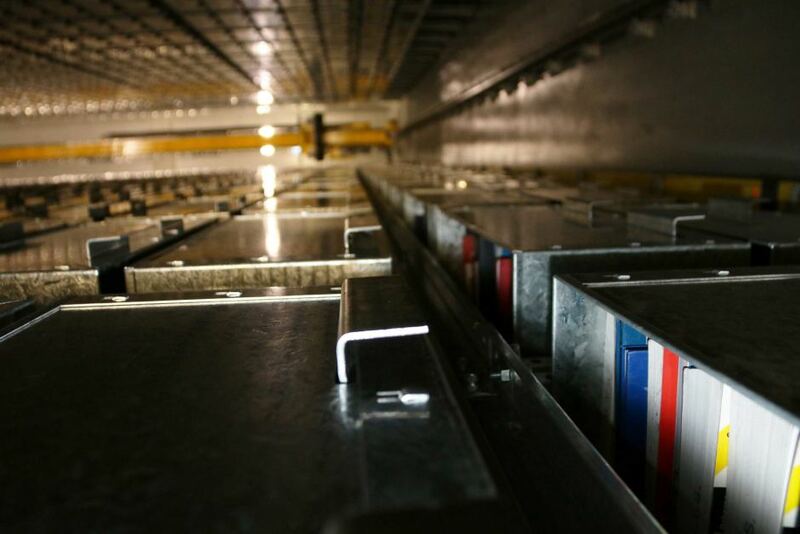 Sydney’s University of Technology has a vast underground library where 325,000 books are stored. When a student wants a book, robots find it for them. The librarians actually seem quite pleased with the innovation, which they’ve dubbed the “bookBot.” The books selected for underground storage were the library’s least-read and were gathering dust and taking up valuable shelf real estate. Now they’re stored in clean galvanised steel bins, safe and secure and available with the touch of a button. Two hospitals at the University of California, San Francisco no longer have humans manning their pharmacies. Instead, robots receive medication orders and retrieve and package the doses. Nervous about letting a machine dole out powerful pills? At launch in 2011, the university boasted that the robots had prepared more than 350,000 doses so far without a single problem.